A refresh for a neighborhood institution. 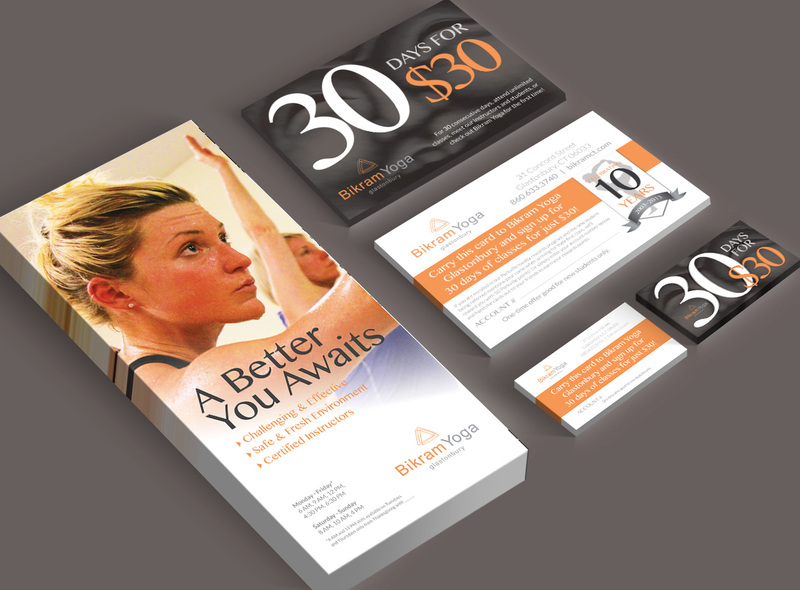 Bikram Yoga Glastonbury was in desperate need of an online facelift in time for their 10-year anniversary. Their website was horribly dated, their messaging was garbled, their social media presence was unfocused, and the owner came to us looking for clarity and professionalism. They kept us on to help them maintain and maximize on it. 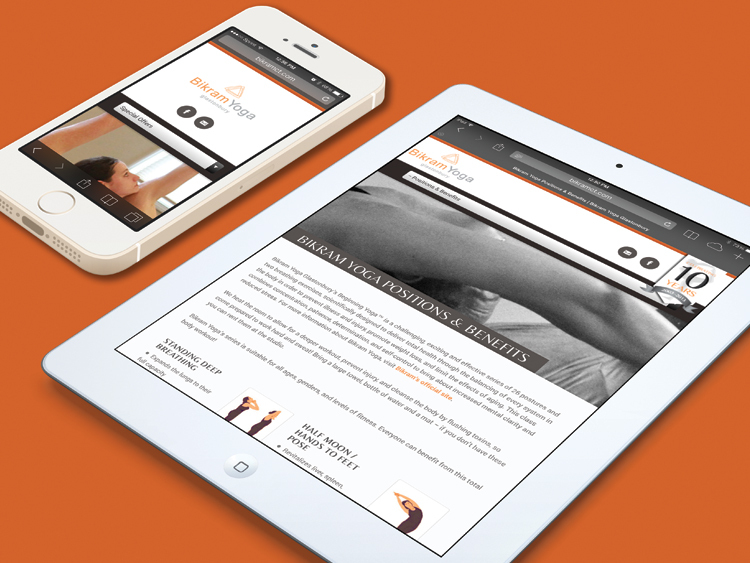 There are quite a few competing yoga businesses in the area, so in addition to modernizing the client’s online presence, we wanted to help the studio stand out. We began with brand consulting, from which we derived messaging and a bold visual direction. This client had a very clear vision for what she wanted, but needed assistance with how to achieve it. We pooled our ideas, uniting in a partnership that has lasted for years. 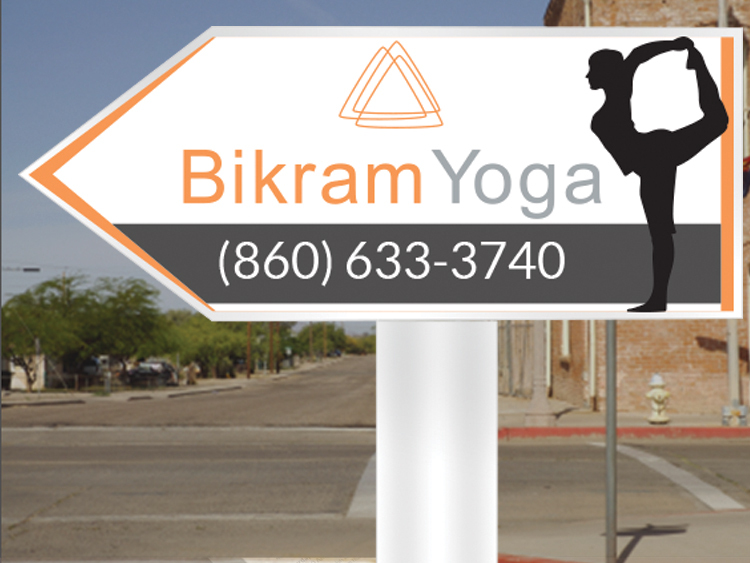 A newly redesigned WordPress website featuring photos of the studio, information about the practice of Bikram yoga, an online schedule tied to mindbodyonline.com, email signup tied to Constant Contact, and callouts for special offers and social media. Directional signage to be posted out on main roads. 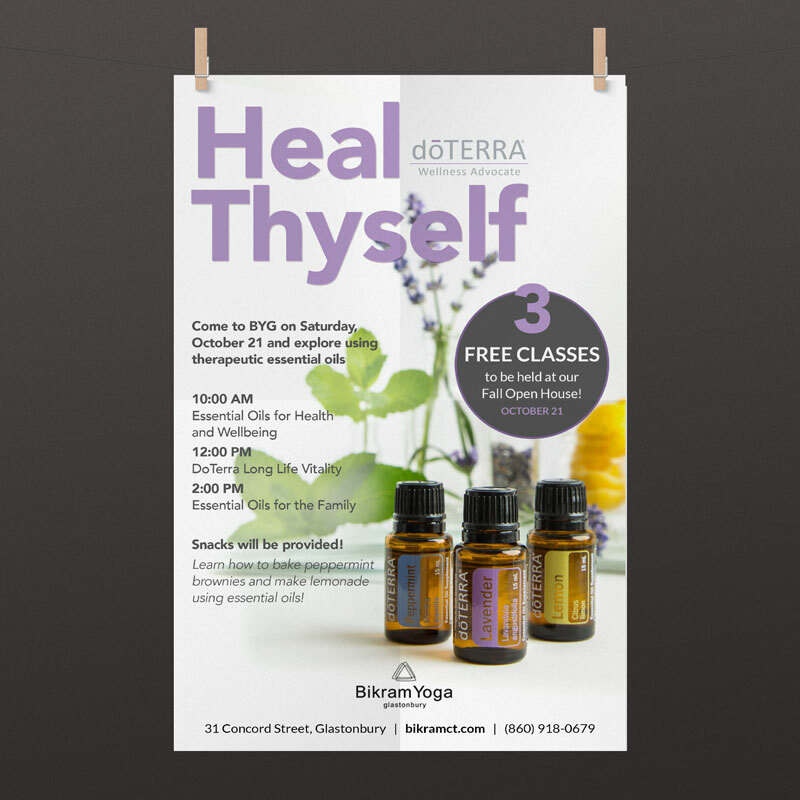 Rack cards, referral cards, postcards, and email marketing templates. Social media graphics for their Facebook page. BYG truly embodies the spirit of small-town New England. The studio holds two annual open houses, ongoing sales promotions, workshops, a Small Business Saturday party, and other events, including generous donation drives for international disasters and local food banks. 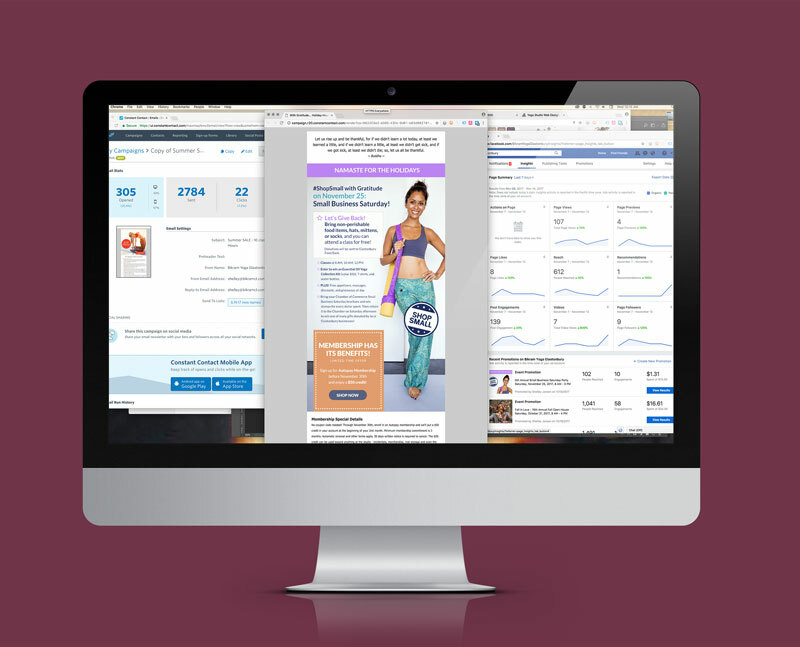 We transform the owner’s ideas and sales goals into targeted email marketing campaigns, tied to social media promotion, landing pages, flyers, and print ads. 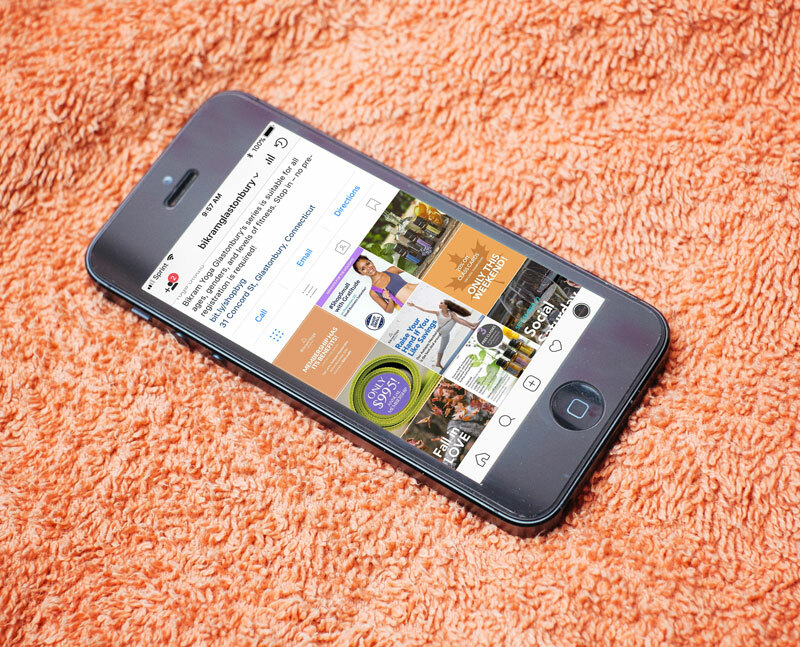 We track campaign performance, including email statistics and social media insights on Facebook and Instagram. 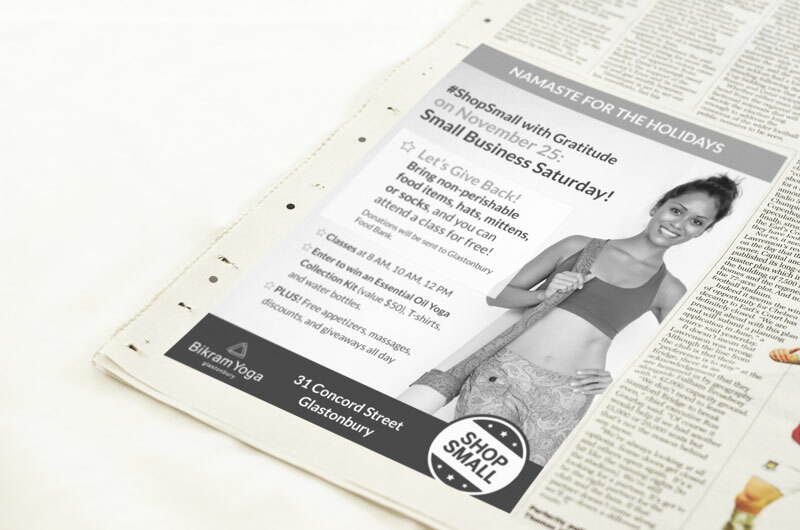 Hot yoga is essentially a seasonal business, so we advise on marketing campaign rollout to keep revenue flowing during slower summer periods, while using powerful, upbeat messaging to engage this active, passionate audience all year long. In 2018, we will be assisting BYG with a rebrand effort—redesigning their website, launching a mobile app tied to Mind Body Online, and more. Stay tuned!